 Lomart offers a secure way for family and friends to enter or exit the pool. 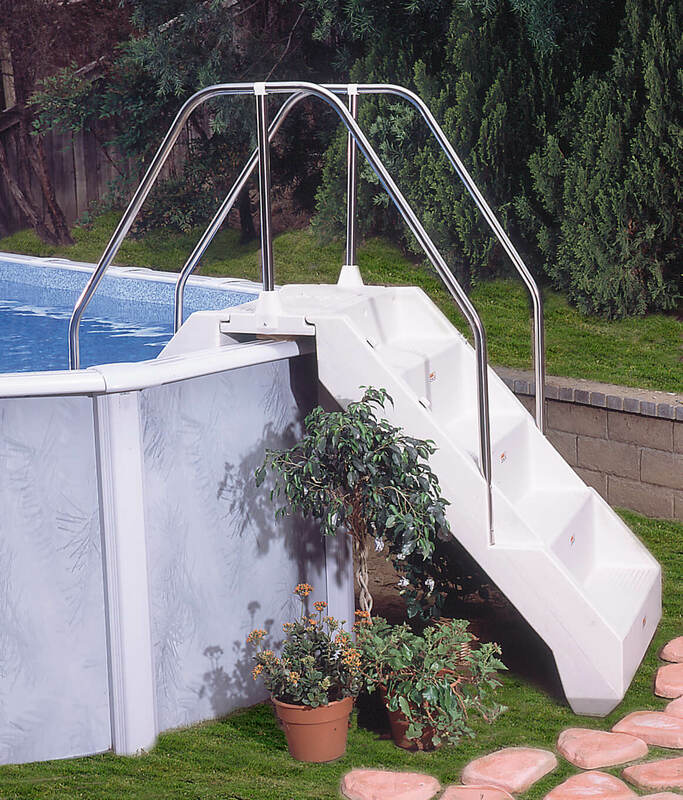 This staircase is an exciting, pool entry system designed to offer an efficient and convenient way to enter or exit an above-ground pool. 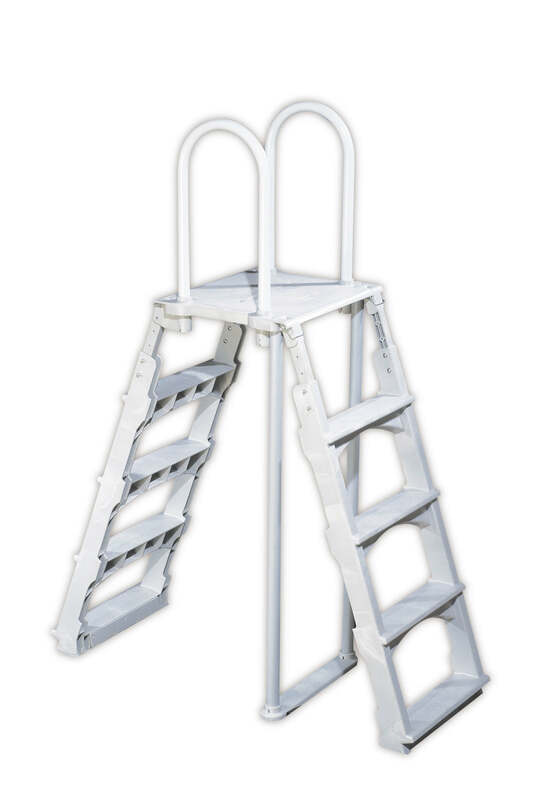 Much more than a standard pool ladder, the Advantage Access System™ allows pool users to sit comfortably on the in-pool steps for relaxation, or to keep a watchful eye on swimmers. The entry system that does it all! 450lbs. load capacity. 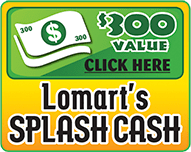 A durable ladder that offers an excellent way to enter and exit your pool. 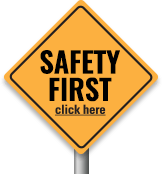 Safety barrier to prevent swimming through or behind ladder while in the pool. A secure way for friends and family to enter or exit the pool. 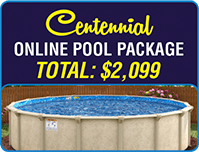 Designed for above-ground pools with 48" to 52" sidewalls. 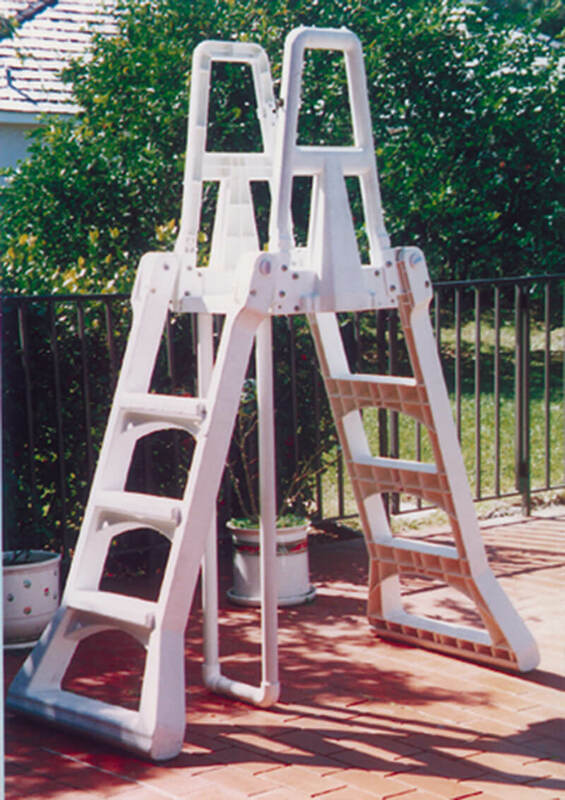 Available in "A" frame and deck ladders.